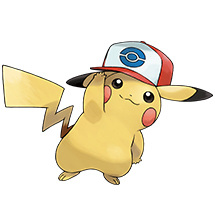 Ash Ketchum and Pikachu have been traveling together for over 20 years in Pokémon the Series. 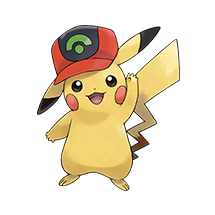 To commemorate their many adventures, The Pokémon Company is giving Trainers the opportunity to receive five different Pikachu in their Pokémon Ultra Sun or Pokémon Ultra Moon game in North America, Europe, Japan and Taiwan until December 1. 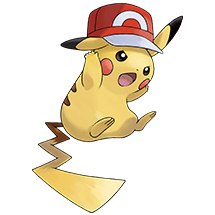 These Pikachu are unique—each one wears a hat that Ash wore in one of the regions the famous duo has explored. 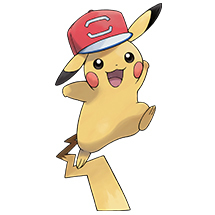 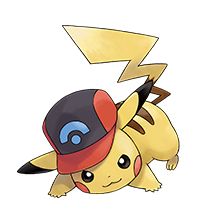 In addition to sporting one of Ash’s trademark hats, each Pikachu is also equipped with a set of moves inspired by the attacks Ash’s partner would frequently use in that region.